This is just to say a very big thank you for your excellent coaching over the last month or so. 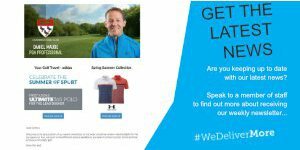 Our on course lessons have transformed my golfing experience not only in terms of overall enjoyment of the game but also in results. I have had a second, a third and a first place (yesterday :-) ) in my last three competitions. Yesterday was my best Stableford score at Canterbury ever (36) and with only 7 clubs- I scored 23 points on the front nine! There's obviously still work to do but I'm thrilled with how things are going. THANKYOU! Happy Christmas! See you in 2015. Having played so inconsistently over the past year, I decided to take up your offer of an assessment of my swing and I am so pleased that I did. I played in a stableford competition yesterday and scored 37 points not having scored on three holes! This has been my best round this year. Your assessment of my problem was spot on and I thank you. "I have been hitting the ball really short for two years now...after just 30 minutes with Danny I added 30 yards to my irons and almost 50 yards with the driver. What more can I say"
Front 9 only today as I had to do the school run. Trying out pre shot routine and concentration. I shot a front 9, +3 of 39!!! With 2 double bogeys! Which is about 7 under net off my 19 handicap. 25 points. 4 pars, 2 birds. But biggest thing was I got up and down on 6/9 holes. I found by really visualizing the shot as if I had already played it from behind with a swing, picking a spot and stepping in. Then one look and a small waggle (while still imaging the lovely high shot) and then just hit it. From driver, 50 wedge and putter the same routine worked as I was concentrating and just repeating a shot I had already (in head) just played perfectly. I've had a few lessons in the past but have found them complicated and didn't produce consistent results. I mean it in a good way, but I thought your lessons were so simplistic it was almost unbelievable but I'm playing the best golf of my life so it really does work. I'm really enjoying myself. Almost losing interest completely with the game of golf I started lessons with Danny and he transformed my game and gave me confidence to start playing again. Thanks Danny! When I first came to Danny I was playing off 23 and I had so many problems but now he has transformed my swing and he has helped me come down 9 shots this year and now I play off 13. 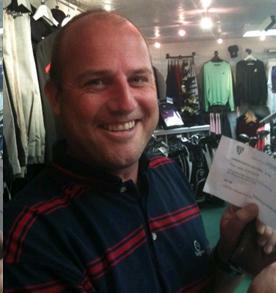 Tim Oldfield, Director, Citi Bank- November 11 2010- Having lessons with Danny has transformed my golf game. I am enjoying golf for the first time! This feeling of confusion was compounded by reading golf magazine tuition articles. You know the sort of thing .." 75 ways to cure your slice " ..." 10 tour pros show you how to grip the club "....etc etc.. I knew it had to be simpler. It just had to be. I was not enjoying my golf because every shot I took reminded me that I didn't know what the correct golf swing was! Sometimes I hit the ball well and often I didn't, but the biggest issue for me was that I didn't know what I was doing different when I hit a good or bad shot. Now, thanks to Danny, I know what I have to do. I now know what the golf swing feels like. I now know, as I always suspected, that it IS a simple process. That is not to say I swing correctly every time, far from it. BUT when I don't hit the ball correctly I KNOW WHAT I SHOULD HAVE DONE! I can now focus on trying to swing correctly, practising and learning, rather than wondering what a correct golf swing is! 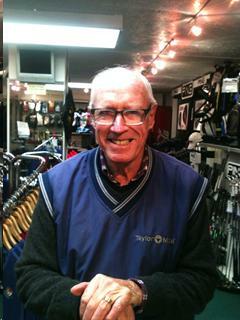 Danny has helped me with his simple explanation of the golf swing and by removing all over detailed technical language. For the very first time Danny taught me the feel of "swinging the club head". Something that previously had eluded me. 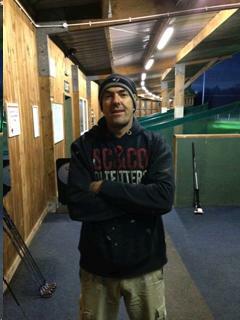 In addition to tuition on the range Danny recognises that golf on the course is different again. Danny always takes me out, on every lesson, to put into practise on the golf course what we have covered previously on the range. This has made all the difference to me and my game. 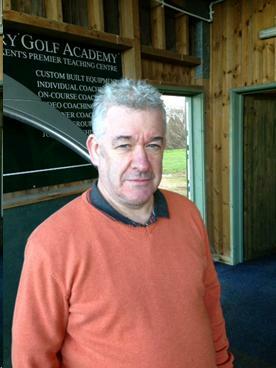 I cannot recommend Danny Maude and his TransformGolf method too highly. Click here to book with me now.